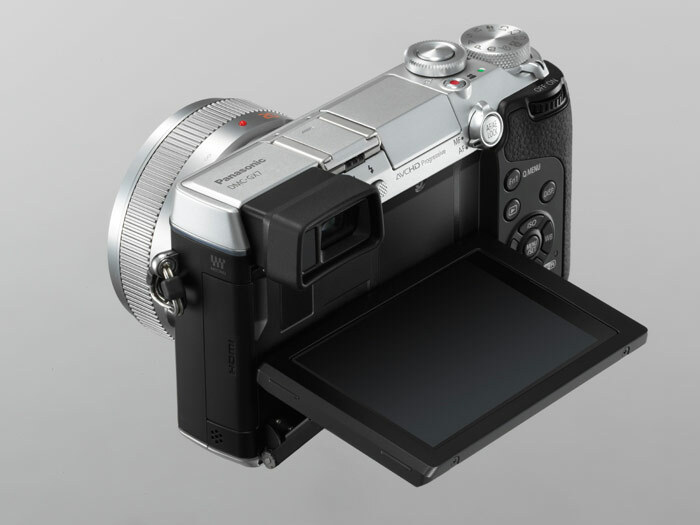 Panasonic’s new Lumix GX7 mirrorless camera, announced today, offers a subtle but interesting change of direction for their Lumix G interchangeable lens camera line. 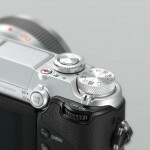 Along with a new 16-megapixel sensor, a tilting electronic viewfinder (EVF), dual control dials, full-HD video, and built-in Wi-Fi, Panasonic has added sensor-level image stabilization. 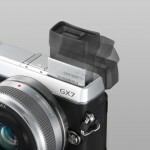 The in-camera image stabilization will make the GX7 a lot more appealing to photographers who want to use classic Leica M rangefinder lenses or other non-Panasonic optics, which don’t have optical image stabilization. 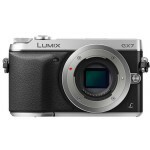 For the past couple of years Panasonic seemed more to be targeting point-and-shoot consumers and pro videographers than photographers with their Lumix G mirrorless cameras. Although it does have full-HD video (1080/60p), the GX7 is obviously designed for serious still photographers rather than videographers. Panasonic is going after the Fujifilm X-Series mirrorless camera market (read our Fujifilm X-E1 review). 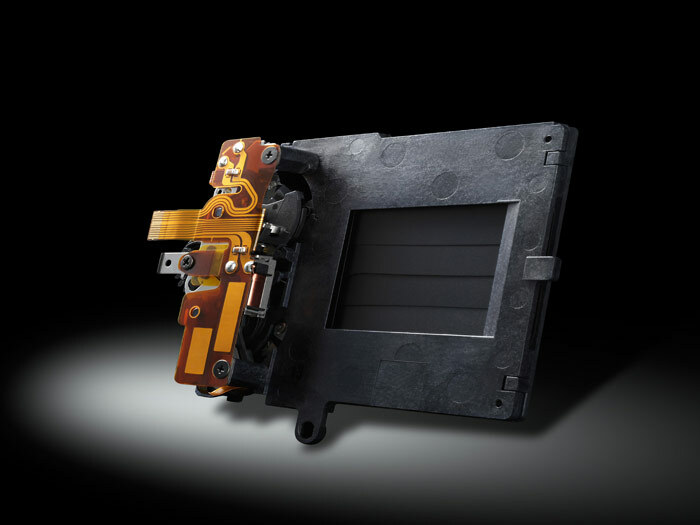 Separate aperture and shutter speed control dials, tilting eye-lever viewfinder, built-in image stabilization and 1/8000th second top shutter speed are all features that will experienced photography enthusiasts and pros will notice and appreciate. 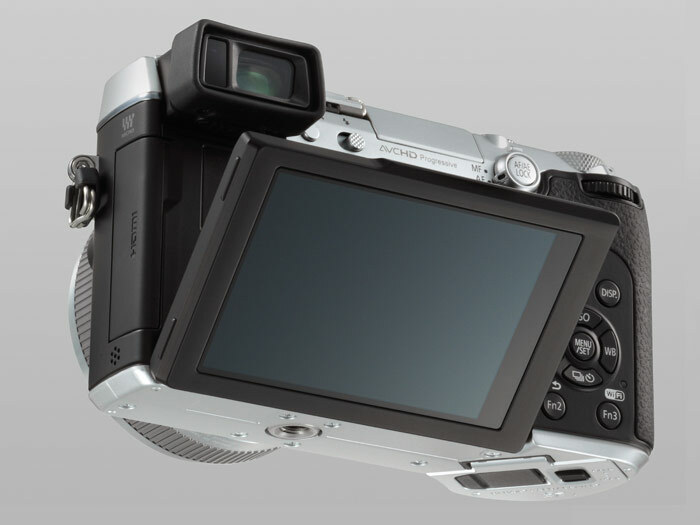 The new EVF (Panasonic calls it an LVF) has an impressive 2.76-million-dot resolution and tilts 90-degrees. 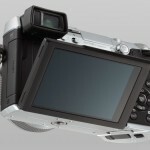 The GX7 also has a 3-inch 1-million-dot touchscreen LCD display – useful for photographers working on a tripod, or street shooters who can use it as an inconspicuous waist-level finder. 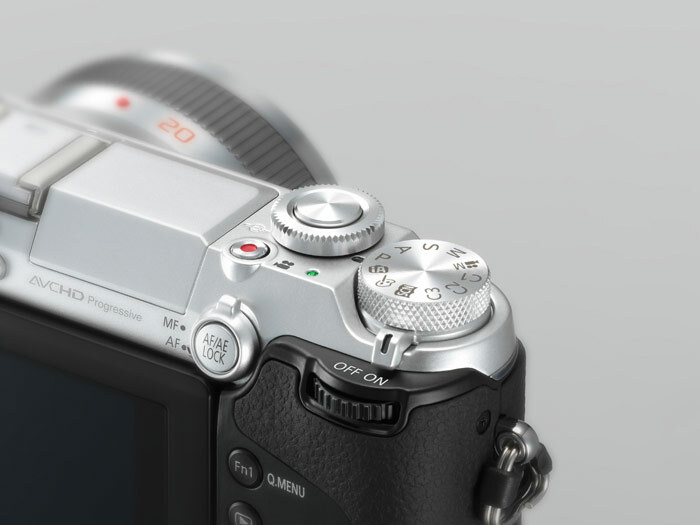 The GX7 has a brand-new 16-megapixel Live MOS sensor with a bunch of image quality improvements. 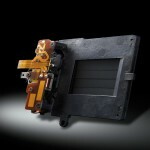 Panasonic says the sensor improvements capture 10% more light; and improved sensor circuitry has improved the signal-to-noise ratio by 25% and image detail by 10% (compared to the GX1) – and that’s before the RAW image is processed. Combine the updated sensor with Panasonic’s Venus Engine image processing and you get a one-stop improvement for a maximum sensitivity of ISO 25,600 (compared to the GX1’s ISO 12,800). Of course, increasing a camera’s maximum sensitivity setting by a stop isn’t the same as improving the image quality by a full stop. 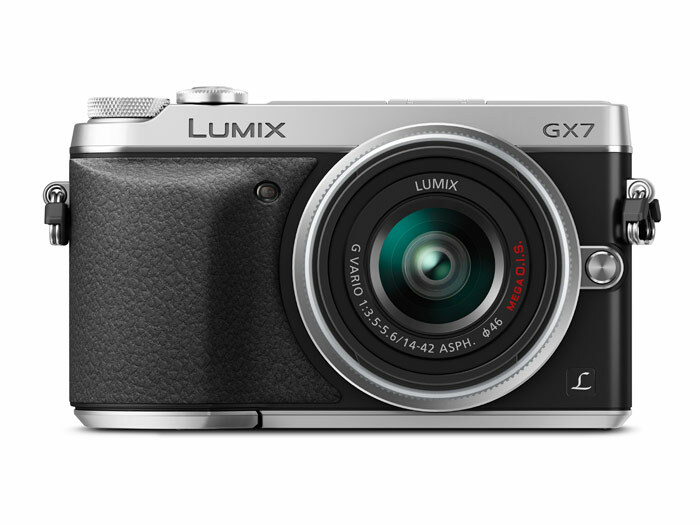 But if the Panasonic is sharing are accurate, I expect to see significantly improved image quality from the GX7. It seems that 2013 is the year of Wi-Fi camera. Even serious photographers are now posting everything on Facebook and Instagram. 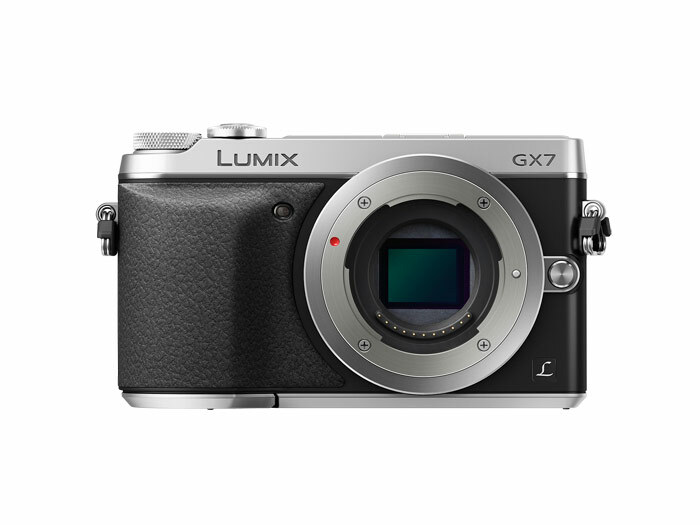 To make that easier, and allow you to post better quality photos, Panasonic gave the GX7 built-in Wi-Fi connectivity. When you install Panasonic’s mobile app on your Smart Phone or tablet you can wirelessly transfer photos and videos from the camera to your mobile device. 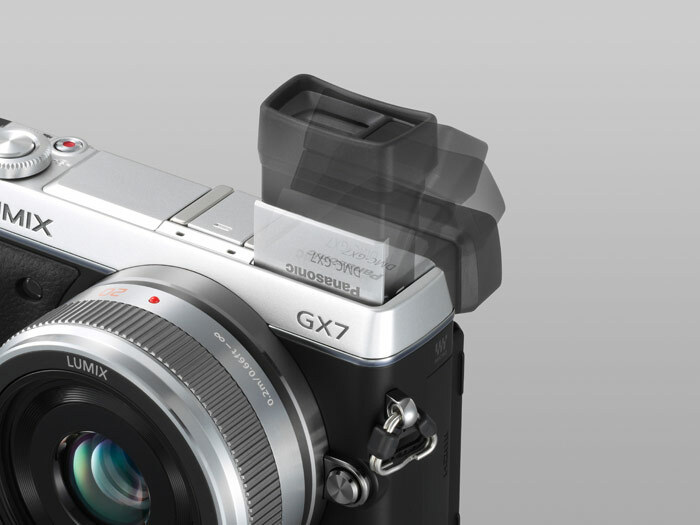 Then you can upload your GX7 photos, anywhere, anytime – as long as your phone has a mobile signal. So if you would rather not post Smart Phone photos, the GX7’s Wi-Fi allows you to share better quality images and still have the immediacy of a camera phone. The GX7’s Creative Control mode even offers its own set of filter effects; although you can also use any of the apps you have on your phone to process your images. 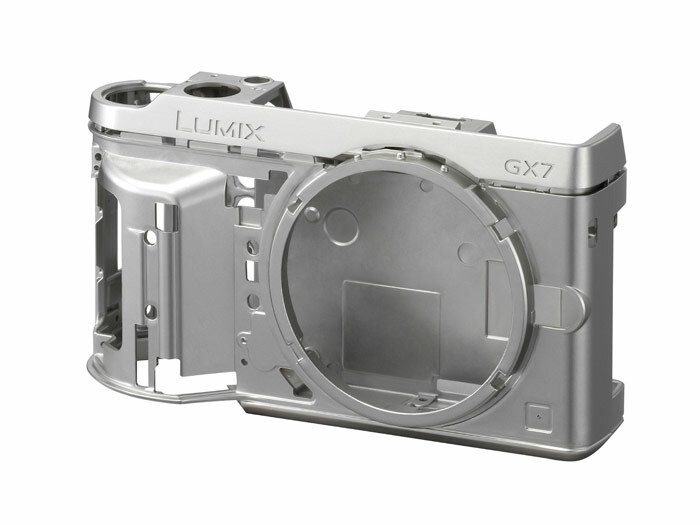 With its die cast magnesium chassis, classic rangefinder styling, improved image quality and the new built-in image stabilization, the Panasonic Lumix GX7 is sure to be a popular option for photographers who want to use their Leica or other classic lenses with a compact, high-performance camera. 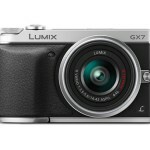 The Panasonic Lumix GX7 mirrorless camera should be in stores next month (October, 2013). 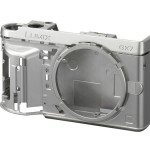 According the Panasonic Web site the price for the GX7 body only will be $999.99. 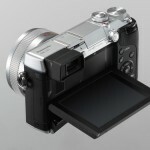 It will also be sold in a kit with the Panasonic 14-42mm f/3.5-5.6 II O.I.S. zoom lens, for $1099.99.